Phyllis Schlafly: Americans who are concerned about traditional freedoms and the Second Amendment have no difficulty understanding the message of the popular bumper strip: “If guns are outlawed, only outlaws will have guns.” It should be just as easy to grasp the corollary: If nukes are outlawed, only terrorist countries will have nukes. Here are a few of Global Zero’s specific recommendations: replace our offensive nuclear missiles with what they call “soft” instruments of power such as multilateral cooperation, reduce the number of our nuclear missiles further than what Obama agreed to when the Senate ratified the New START Treaty in 2011, eliminate “all tactical nuclear weapons” and our “Minuteman land-based ICBM force,” and announce “reciprocal presidential directives” (Obama is a specialist at issuing unilateral directives). Here are a couple of the really silly statements in Global Zero’s report: “security is mainly a state of mind, not a physical condition,” and “nuclear weapons have increasingly become liabilities, not assets.” The Global Zero report includes a lame endorsement of anti-missile defense, but it’s clear that modernizing our missile defense system is not a priority, maybe not even wanted by the group. Global Zero isn’t Hagel’s only dalliance in the search for a nuclear-free world. He also serves on the board of the Ploughshares Fund, a George Soros-funded group that advocates getting rid of our nuclear weapons. The Ploughshares Fund is downright serious about getting rid of U.S. nuclear weapons. It urges massive decreases in our defense capabilities and slashing the U.S. nuclear force to only 292 deployed missiles. It promotes global governance — no surprise there — and also opposes U.S. development of a missile-defense system. 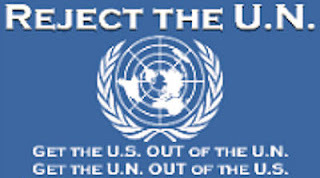 CUSF calls for massive slashes in our military budget so that U.S. money can be spent on “sustainable energy,” financing a “green stimulus,” and combating “climate change as a security threat.” Other CUSF projects include urging U.S. troops overseas to wear the UN’s blue helmets, using the U.S. Armed Forces to take on the task of fighting “global warming” and “global poverty,” and stationing U.S. “peacekeeping” forces worldwide. Chuck Hagel sits on the board of a fund that is the main financial backer of a globalist group urging the United States to join the U.N.’s International Criminal Court. There are many reasons why this is a dangerous idea, but one of the most obnoxious is that this UN Court could prosecute American citizens and soldiers for alleged “war crimes” and other anti-American accusations. 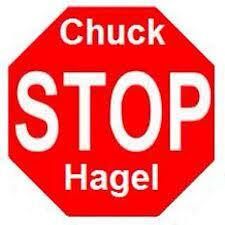 Hagel also showed his globalist philosophy by supporting the UN Law of the Sea Treaty (LOST). Fortunately, the U.S. has never ratified LOST; in December it proved its threat to national sovereignty by overruling the high court of Ghana with a decision that is domestically enforceable in that country and not subject to any appeal. It’s no wonder that the ranking Republican on the Senate Armed Services Committee, Jim Inhofe (R-OK), announced he could not vote to confirm Hagel as Defense Secretary because Hagel is philosophically opposed to vital issues affecting our national security. These issues concern our spending, our international engagement, and particularly our nuclear modernization. Senator Inhofe added: “At a time when North Korea is threatening our allies with nuclear capabilities, and Iran continues to pursue a nuclear weapon and the means to deliver it, the security of our own nation and of our allies requires us to be vigilant with our own nuclear weapons and defense systems.” Senator Inhofe is exactly right: America needs a Secretary of Defense who values and upholds U.S. sovereignty and military superiority. Tags: Phyllis Schlafly, Eagle Forum, Chuck Hagel, Global Zero, U.S. Nuclear Policy Commission, nominee, DOD, Department of Defense To share or post to your site, click on "Post Link". Please mention / link to the ARRA News Service. Thanks!